Cutlasses » PCBs have arrived! 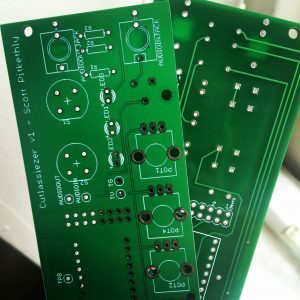 My first ever PCBs have arrived, possibly the first of many? Can’t wait to get the first one soldered up. After that I need to design the Eurorack panel, current plan is laser cut acrylic. Will post demos as soon as it’s made! Thanks to Hackvana for fabricating them, a highly recommended service!